When it comes to tourism in Scotland, a lot of people are looking beyond the usual hotspots of Edinburgh and Glasgow. In the pretty North East, you’ll find the historic city of Aberdeen. While it often feels like Aberdeen is isolated from the rest of the country, the city and the surrounding area of Aberdeenshire offer a broad range of sights and activities for visiting tourists. If you feel like taking a Scottish holiday with a difference, here’s what a trip to the “granite city” can offer. 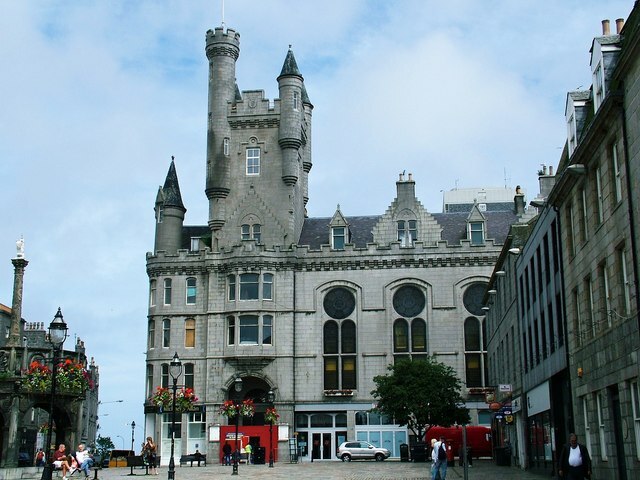 Many people love to visit a city to experience its culture through local museums, and Aberdeen has plenty in supply. Being a port town with a strong maritime tradition, it’s only natural to assume that the Aberdeen Maritime Museum is worth a visit. House in a striking glass-fronted complex, this immersive collection takes visitors from the fishing history of the original town right up to its connections with the petroleum industry. For those who are keen on military history, it’s certainly worthwhile to spend some time at the Gordon Highlanders Museum. Situated in the Hazlehead suburb of Aberdeen, this collection celebrates the 200-year history of one of Scotland’s most acclaimed and successful army regiments. The museum has exhibits that cover a number of conflicts from the Crimean War, right up to the regiment’s involvement in the Cold War. The outdoor scenery is one of the main drivers that brings tourists into Scotland. Aberdeen and the surrounding area is no different. The city is home to several beautiful parks, and the Aberdeenshire countryside is perfect for a ramble. Duthie Park can be found in the centre of the city, right on the banks of the River Dee before it reaches the coast. This 44-acre patch of land was given to the council in 1881 and has since been home to playing fields, open spaces, and a Winter Garden. This makes the park perfect for those who want to leave the urban hubbub of the city centre behind. If you are keen to get into the countryside that surrounds the city, you will find that there is no shortage of walks and places to visit. With a bit of research, you’ll find that many picturesque walking routes take in the likes of Banchory, Lochnagar, as well as the nearby country parks of Haddo and Aden. Just make sure that you are prepared for the changeable Scottish weather! No holiday is complete without a good amount of downtime and relaxation. For all its hustle and bustle, Aberdeen is a city that knows how to relax. The Malmaison Hotel on Queens Road is only a short distance from the city centre but offers a laid-back atmosphere for visiting guests. It’s a great haven in the city and a perfect place to enjoy a relaxing afternoon tea. The city offers a good amount of nightlife for those who like to take a drink on the town. There are bars, pubs, and clubs that fill up on the weekend. Regardless of whether you’re looking for a quiet tipple, or a big night painting the town red, Aberdeen has you covered. It’s the perfect place to enjoy some of the single malt whiskies that have made Scotland famous. Getting the perfect balance with a Scottish holiday can be tricky, but as long as you plan ahead, you’ll have an unforgettable journey.